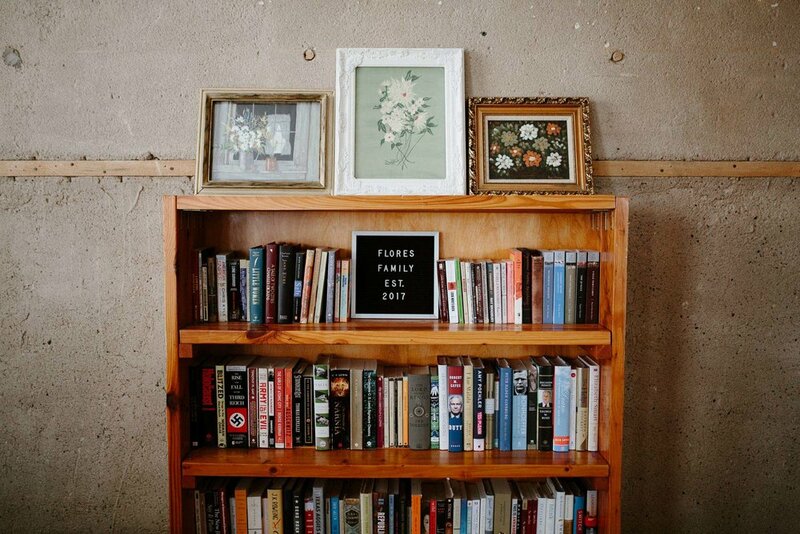 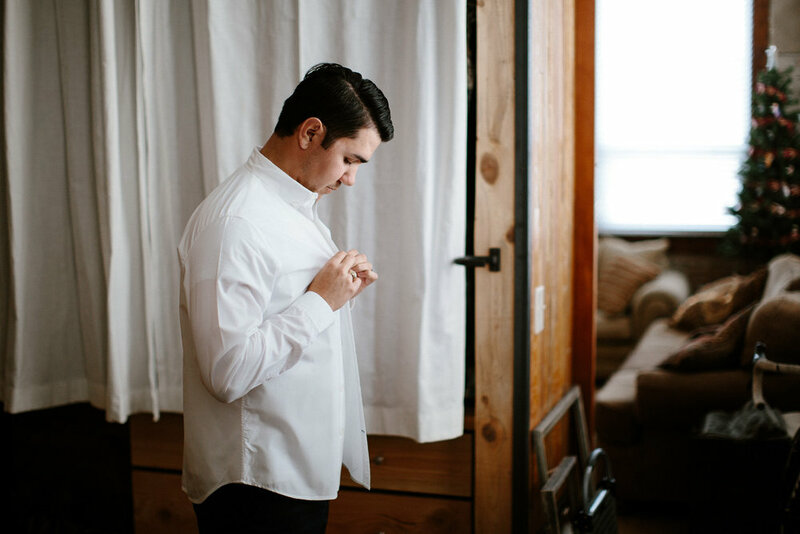 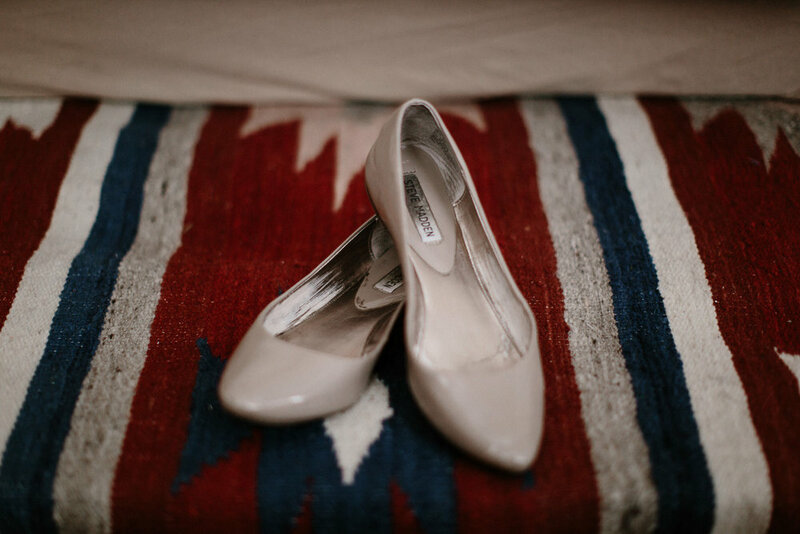 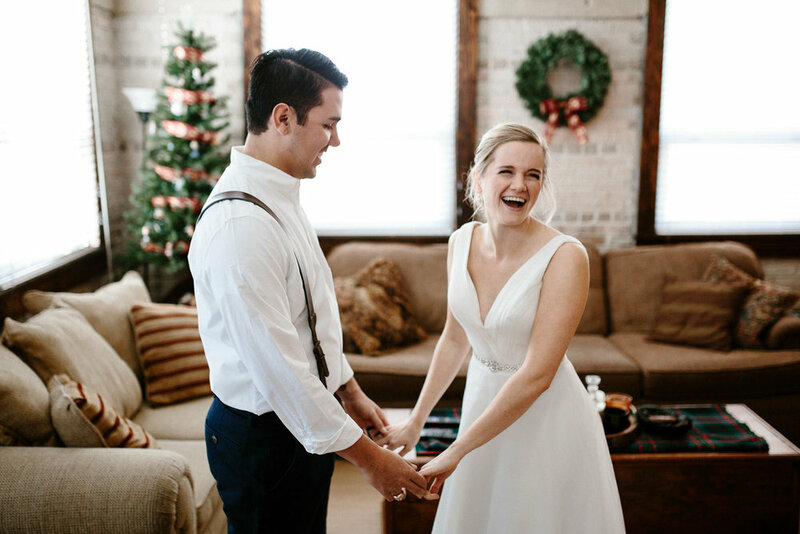 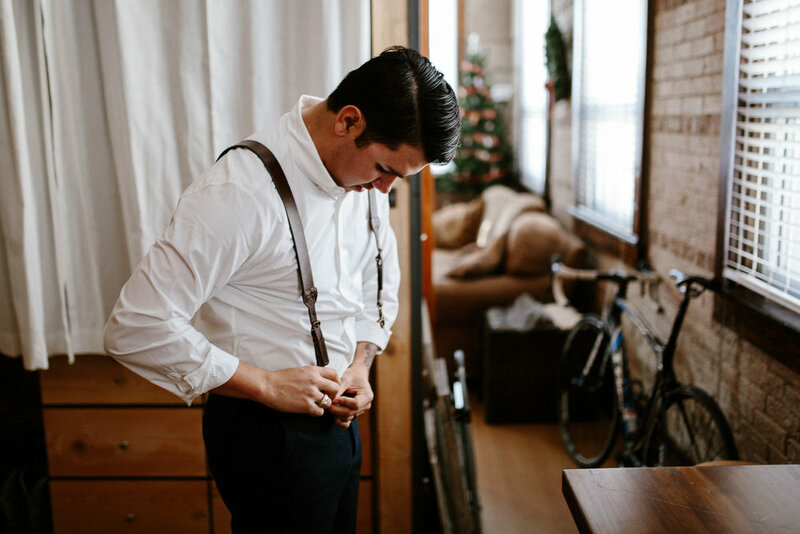 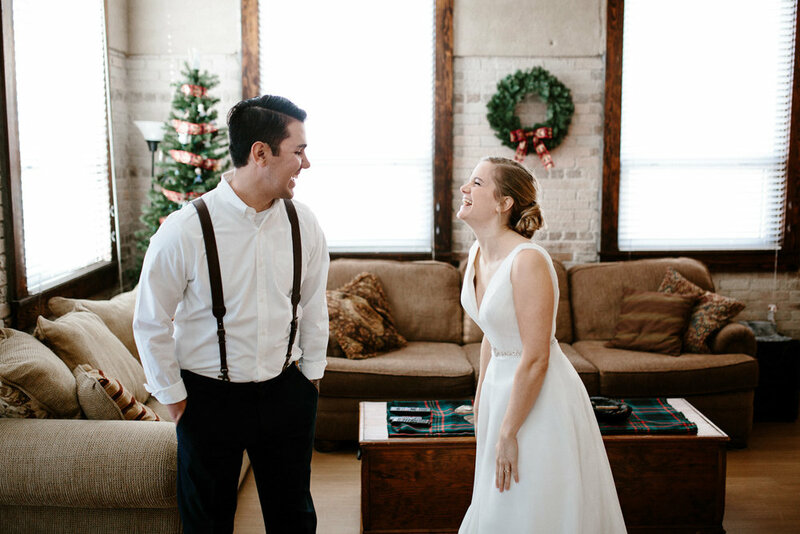 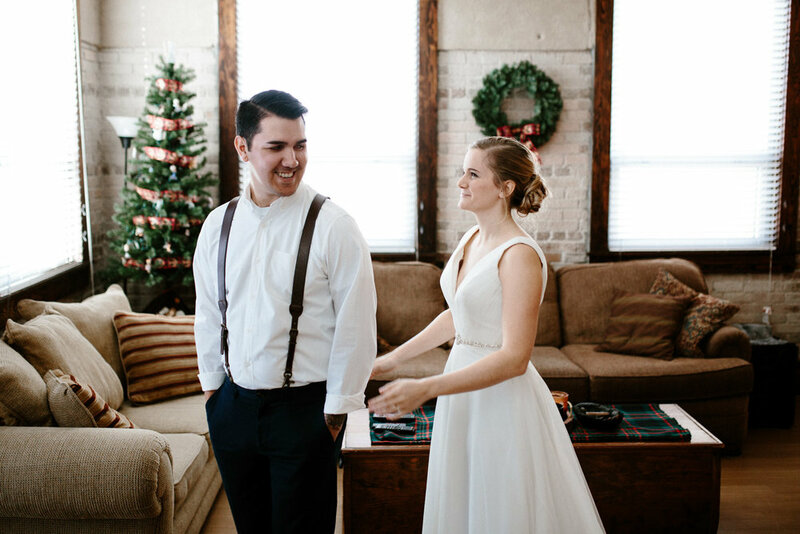 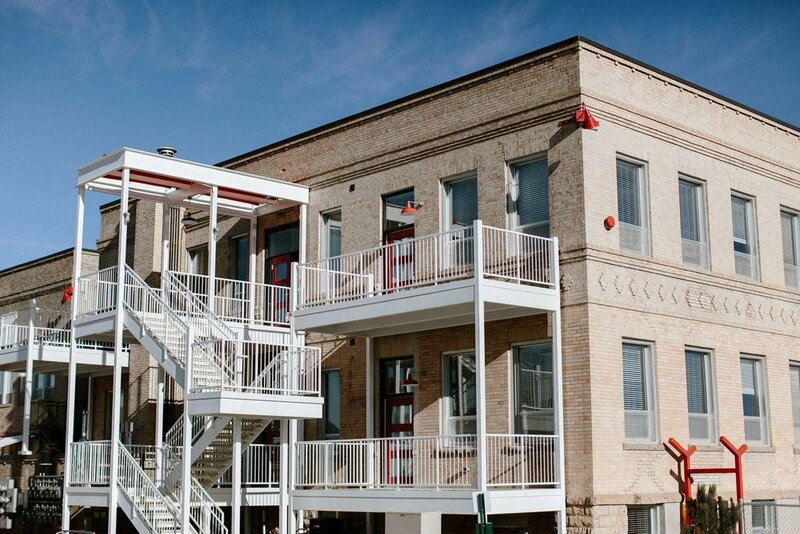 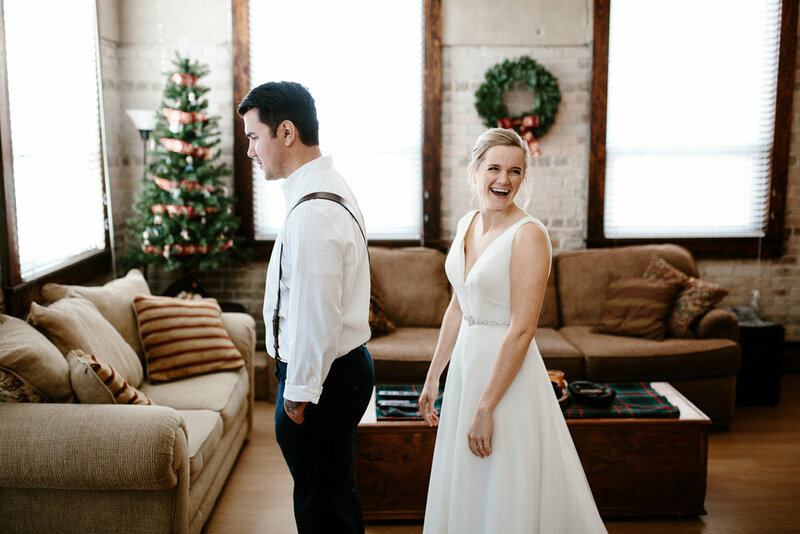 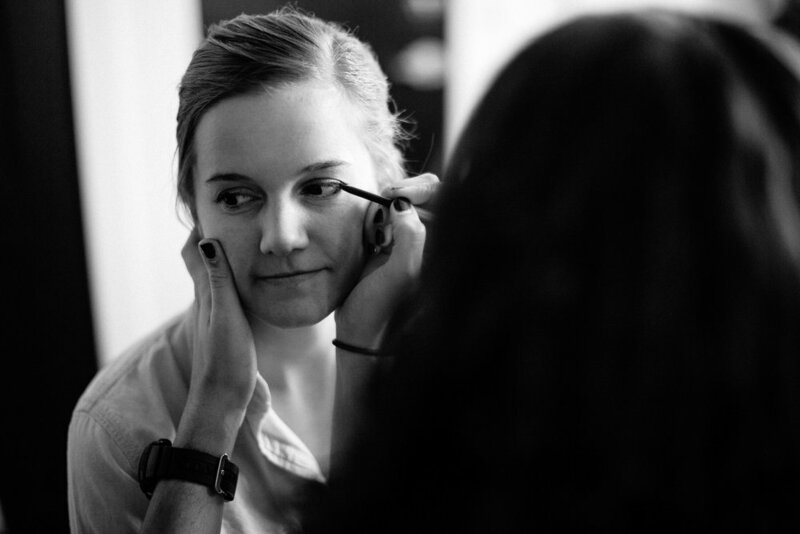 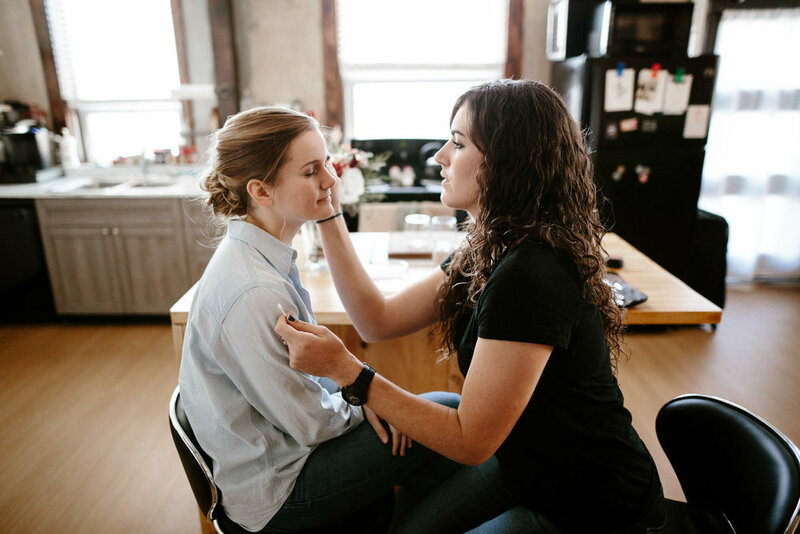 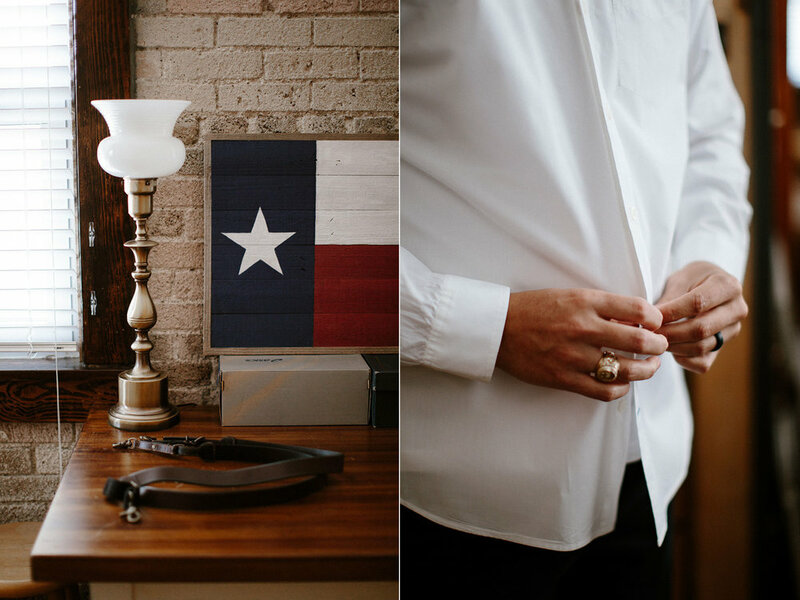 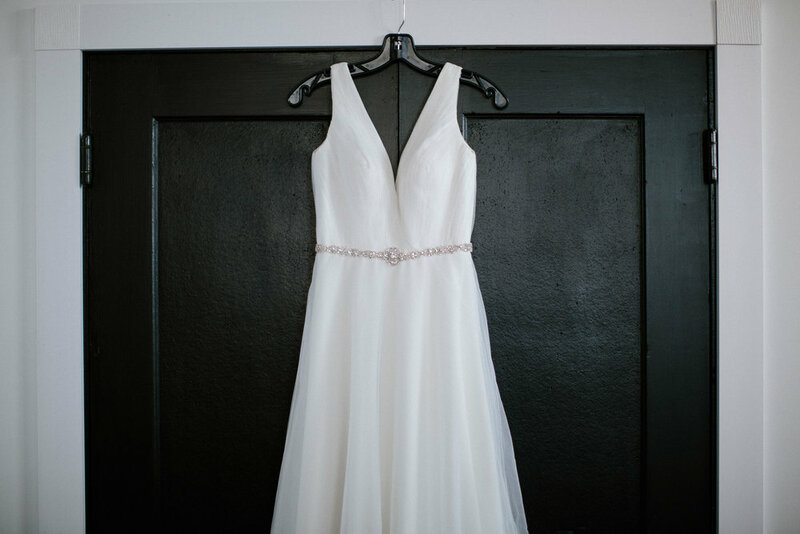 We started the day with a few getting ready photos in Alcee and Stefan's gorgeous Rapid City loft. 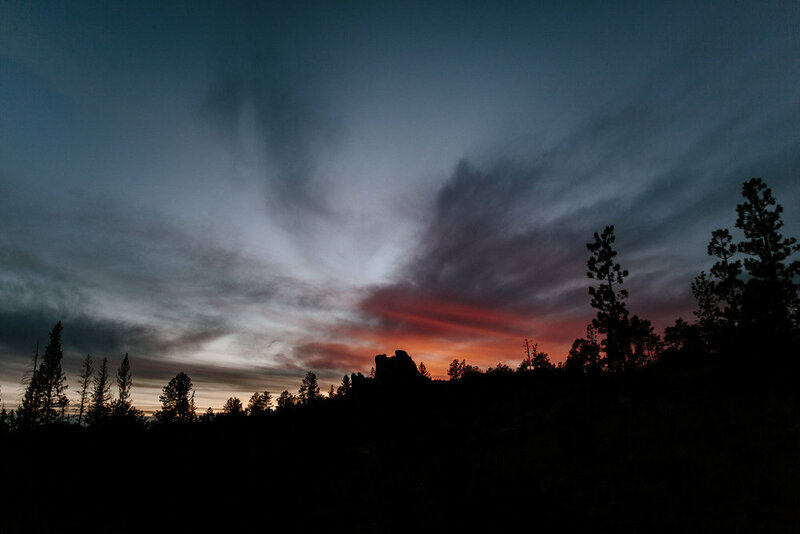 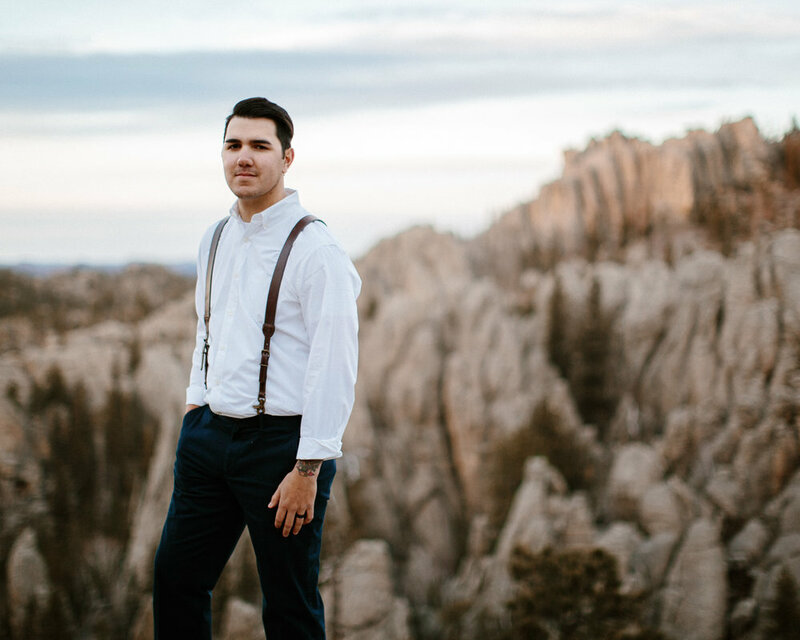 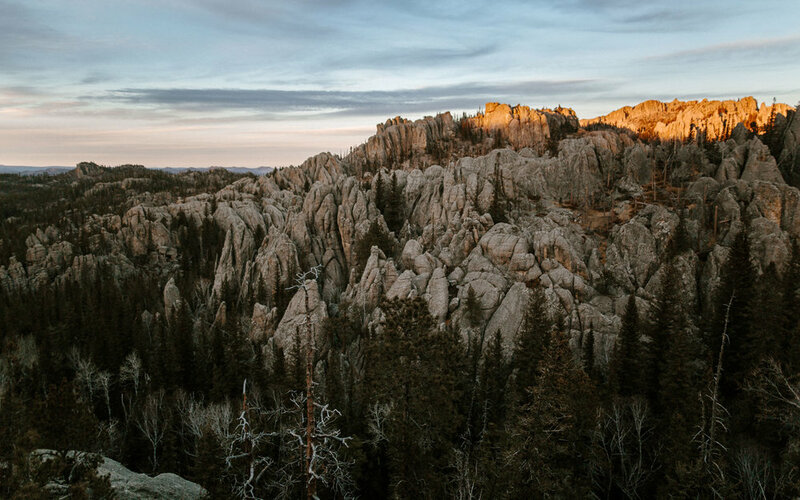 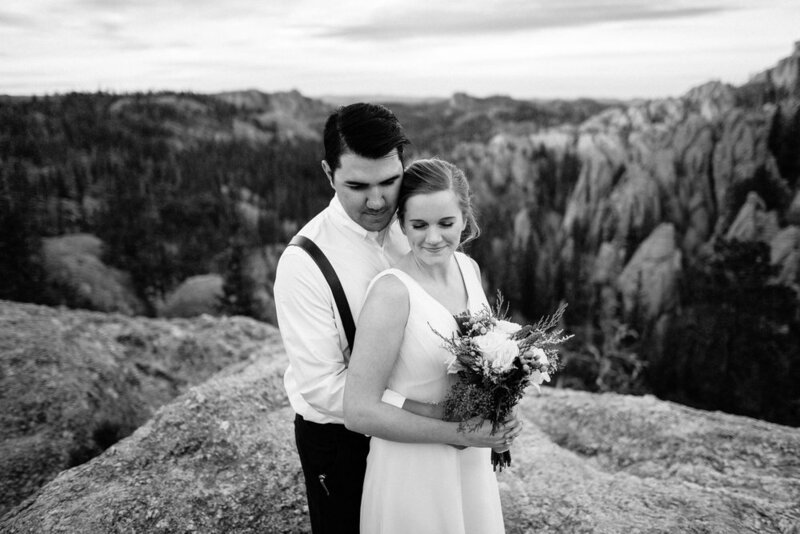 After that we hopped in the car and made our way into the heart of The Black Hills to shoot in Custer State Park. 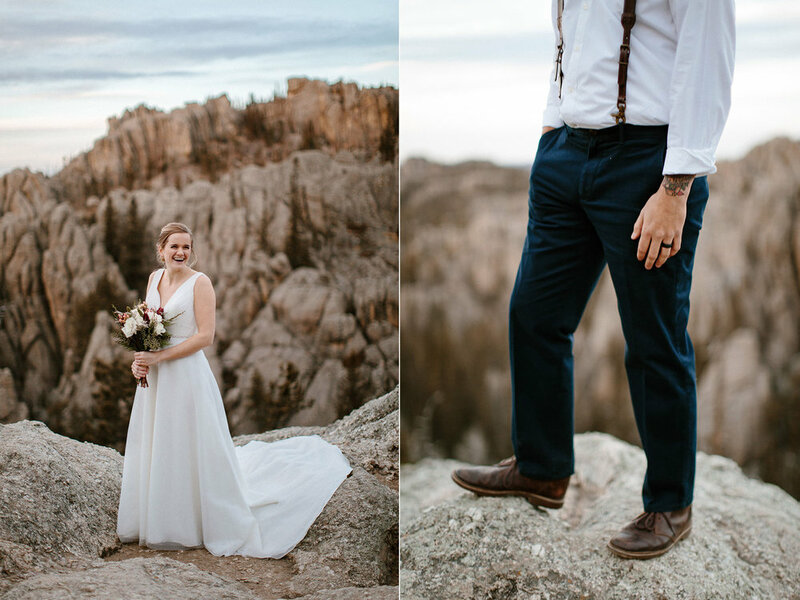 As we hiked around we managed to find a bunch of awesome spots to work with in the area with dense grassy fields, building sized boulders, and cliff-sides overlooking massive valleys! 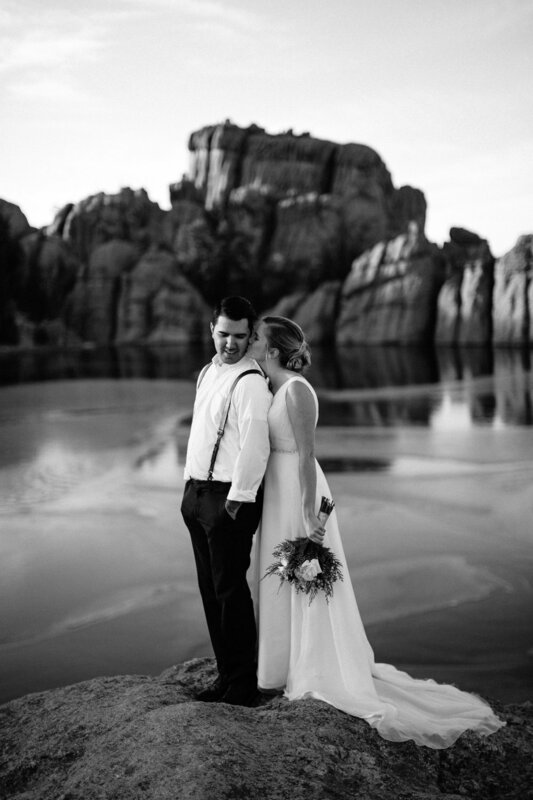 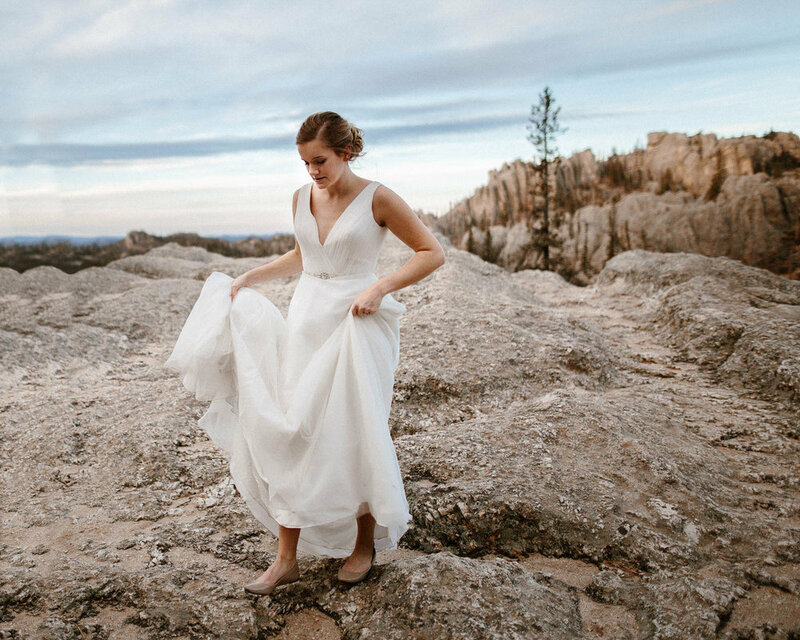 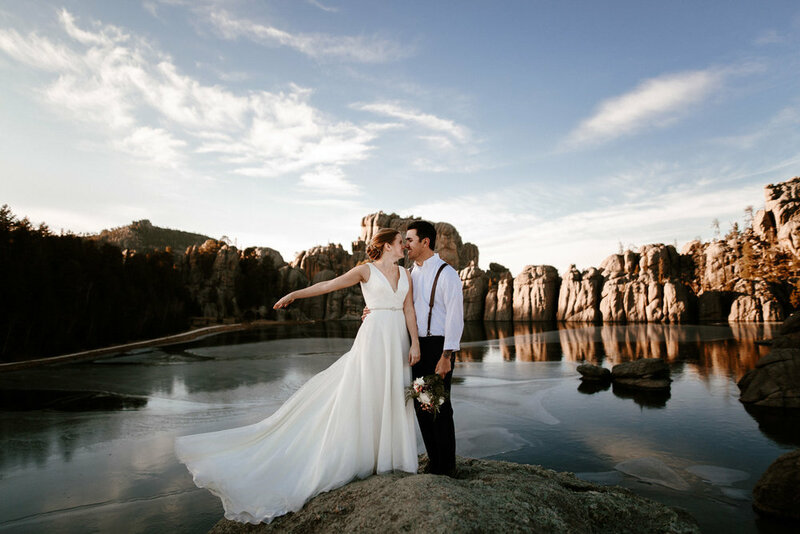 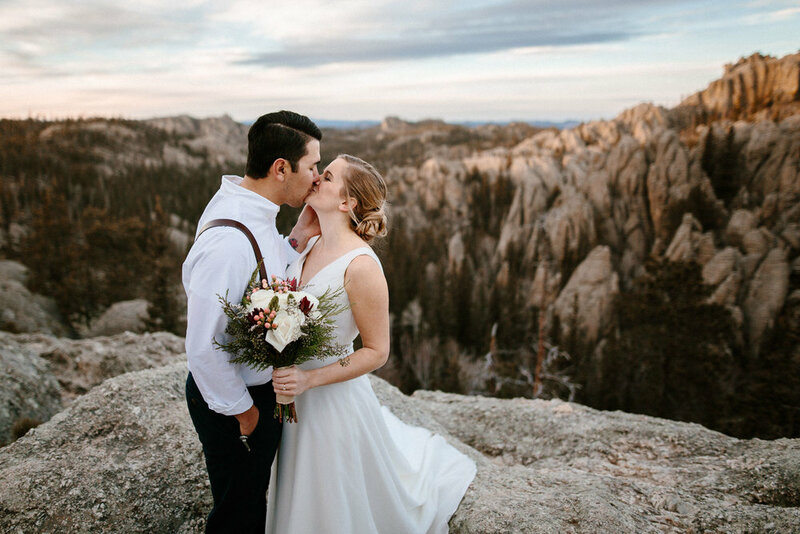 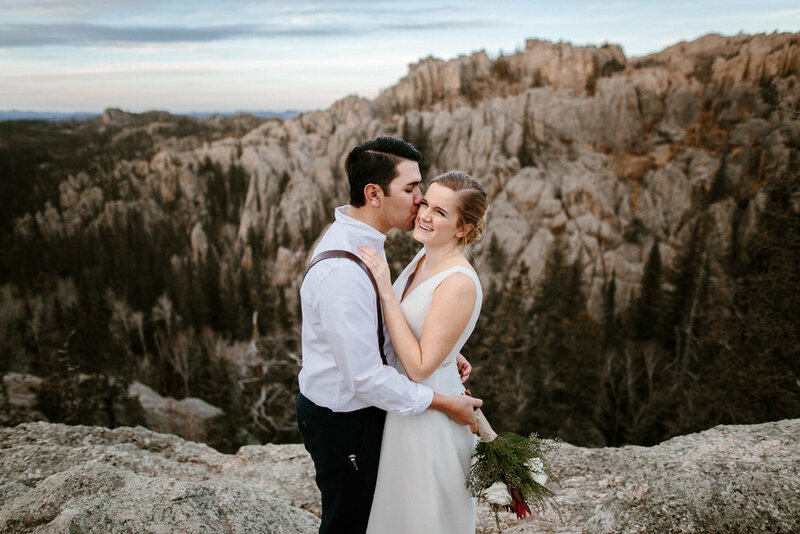 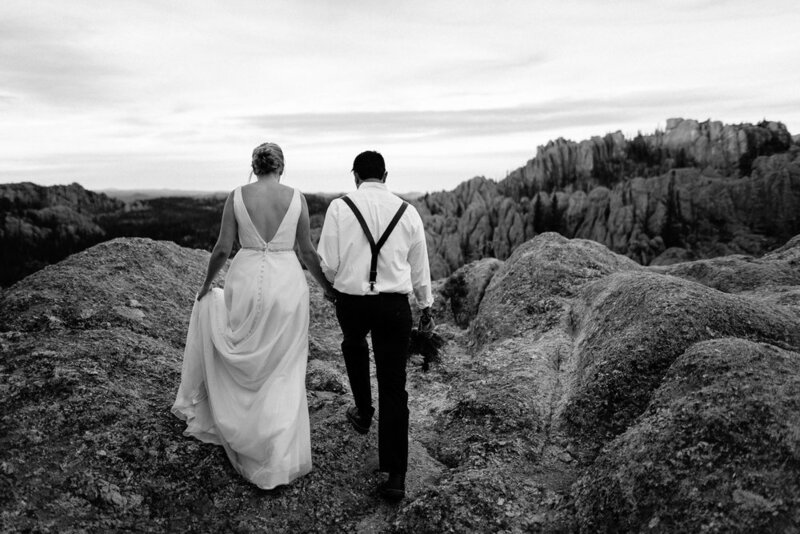 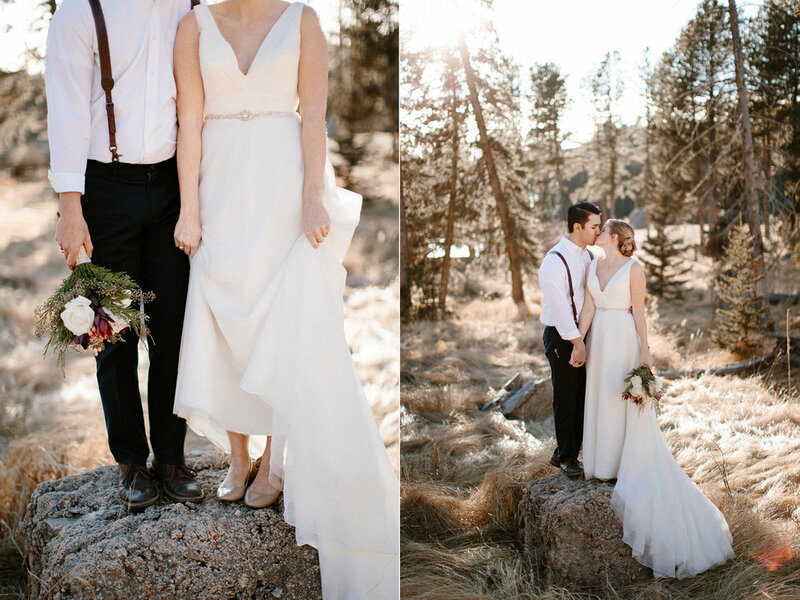 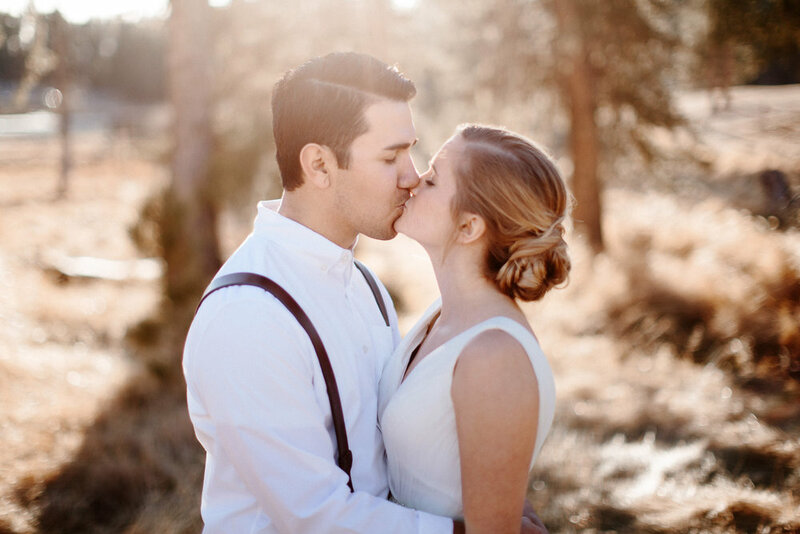 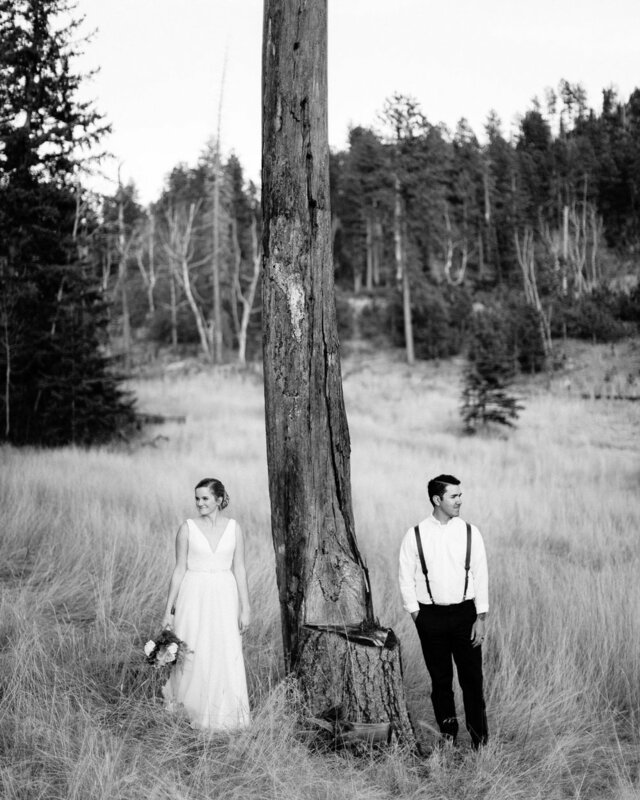 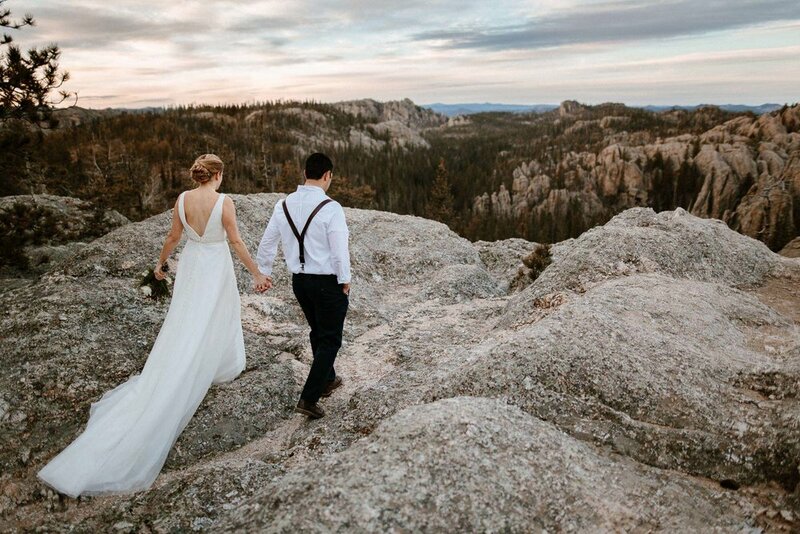 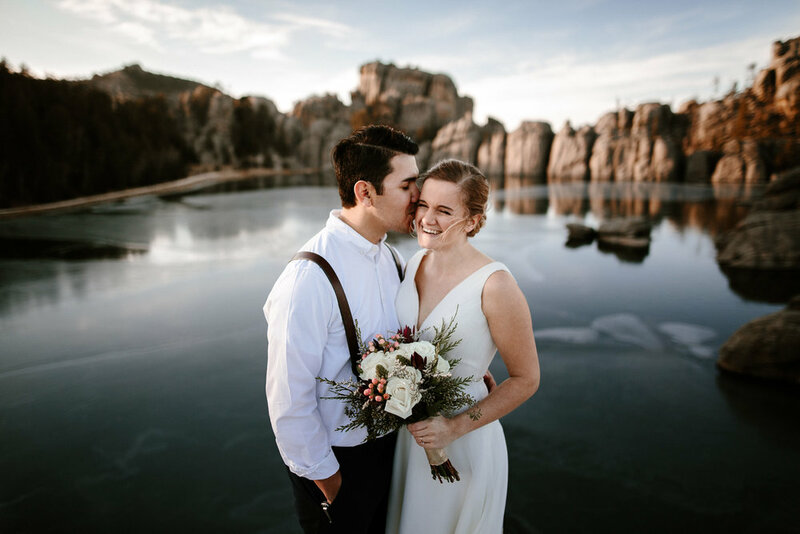 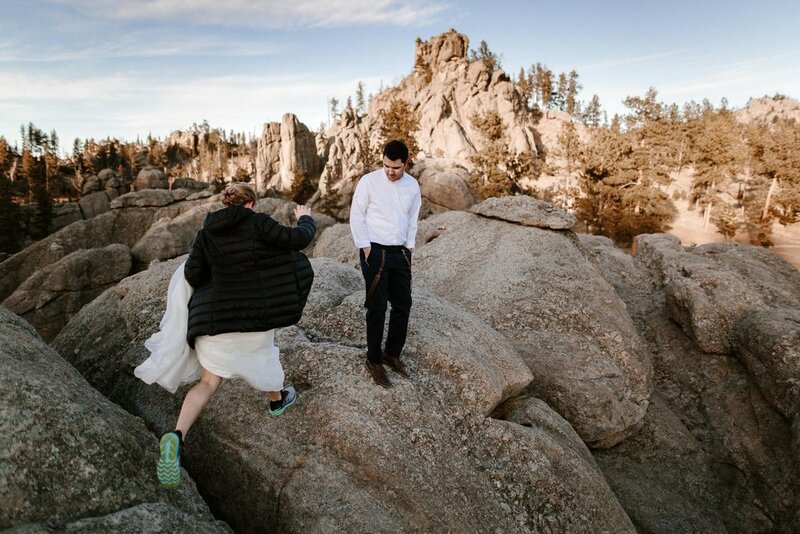 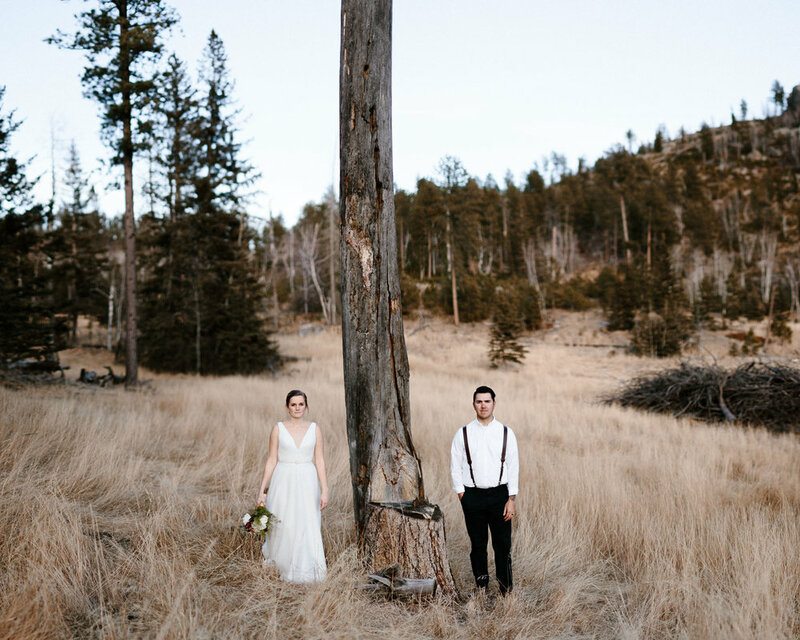 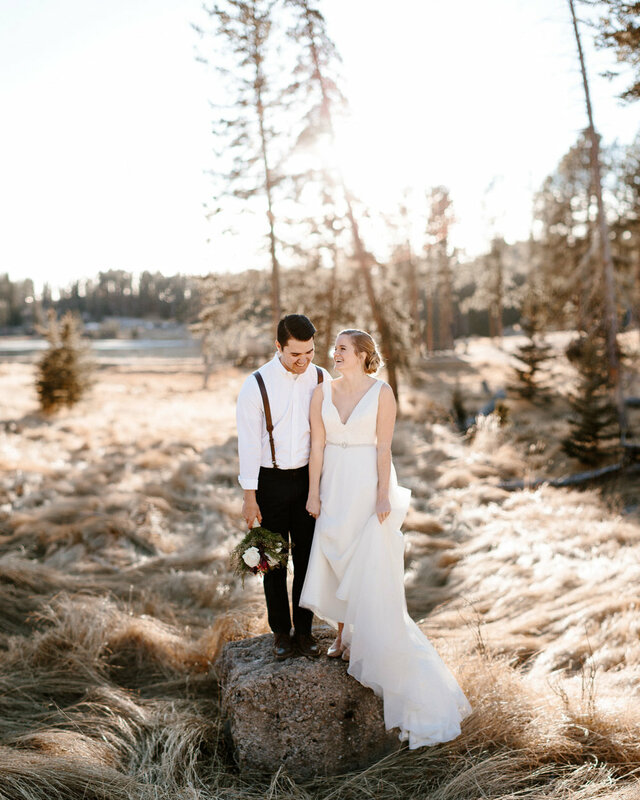 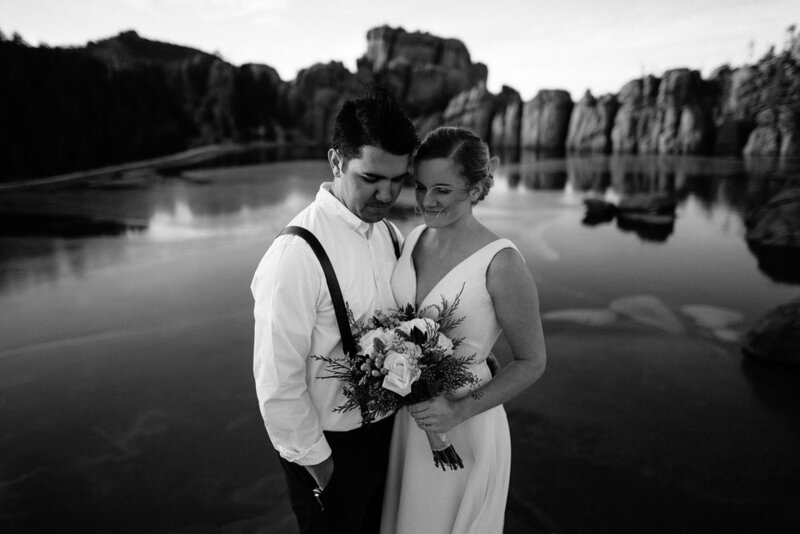 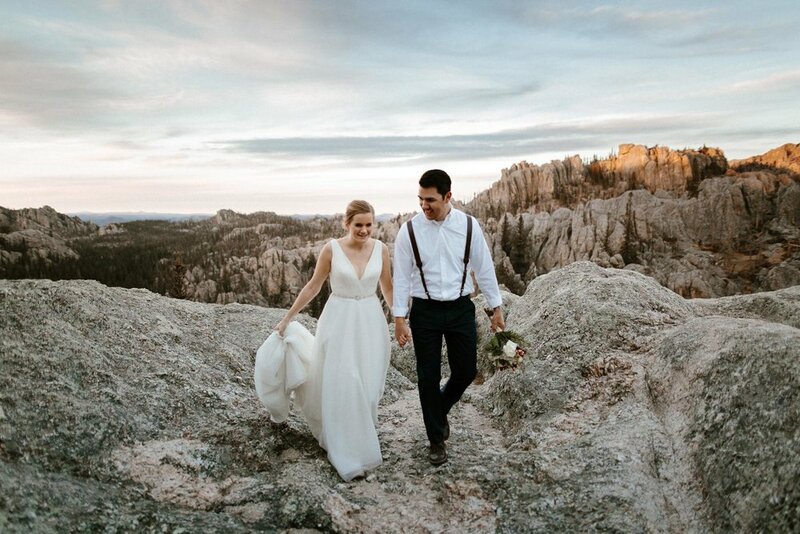 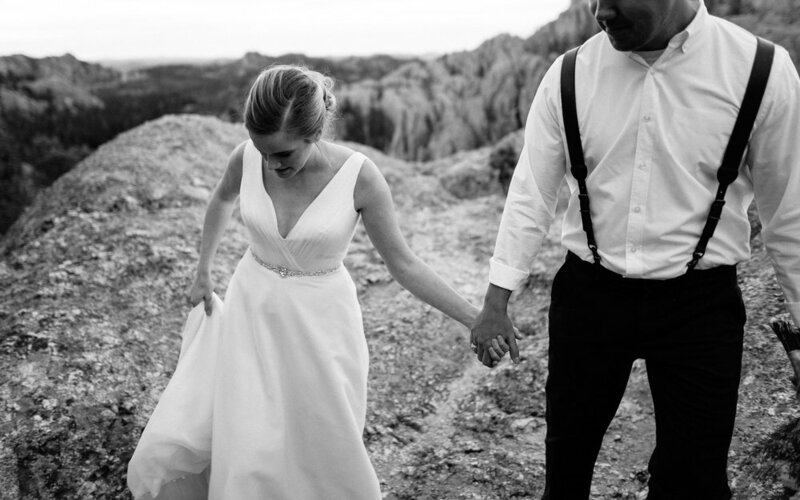 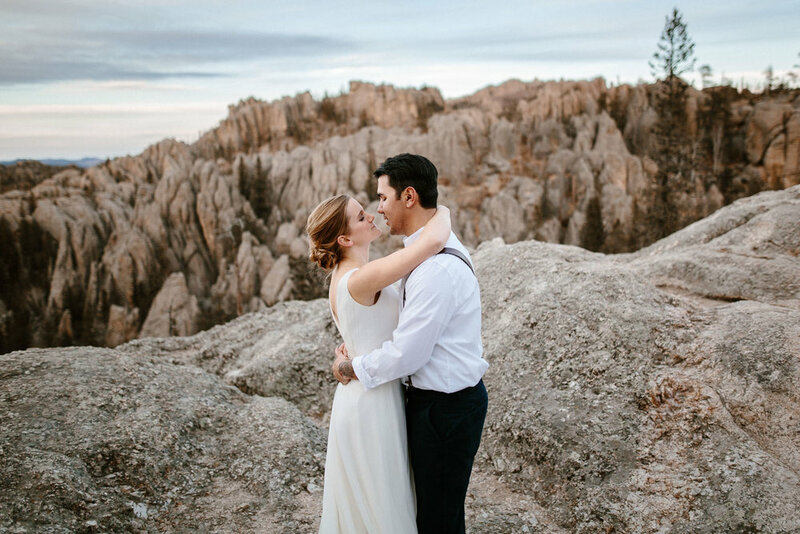 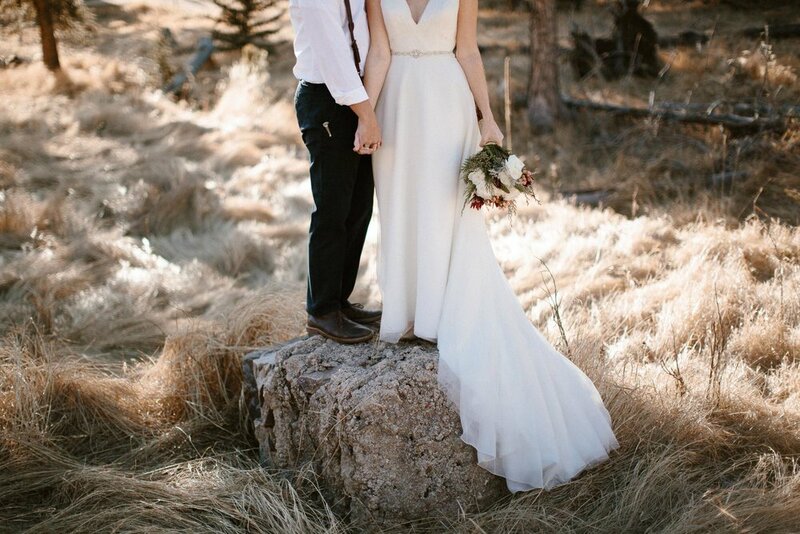 Through all of this, Alcee and Stefan were total troopers as they agreed to all my crazy ideas of climbing said boulders (in a freaking wedding dress mind you) and going on several mile long hikes all while fighting through the bitter cold since it was early December! 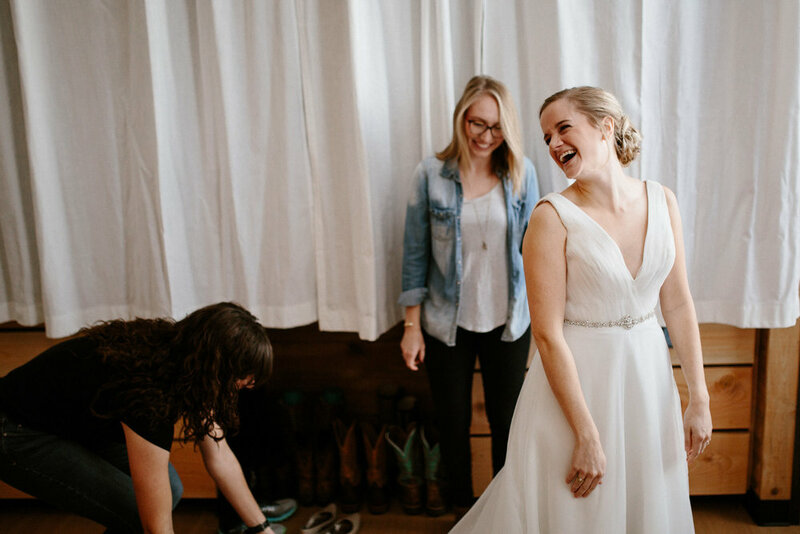 I included a few BTS photos throughout so you can see all that we went through haha. 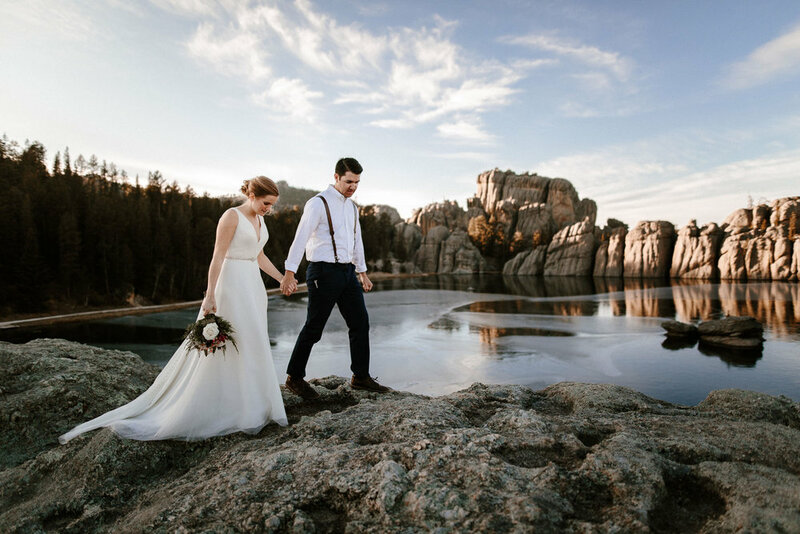 All in all, it was a fantastic day and I can't say thank you enough to Alcee and Stefan for allowing me to document such a monumental moment in their life! 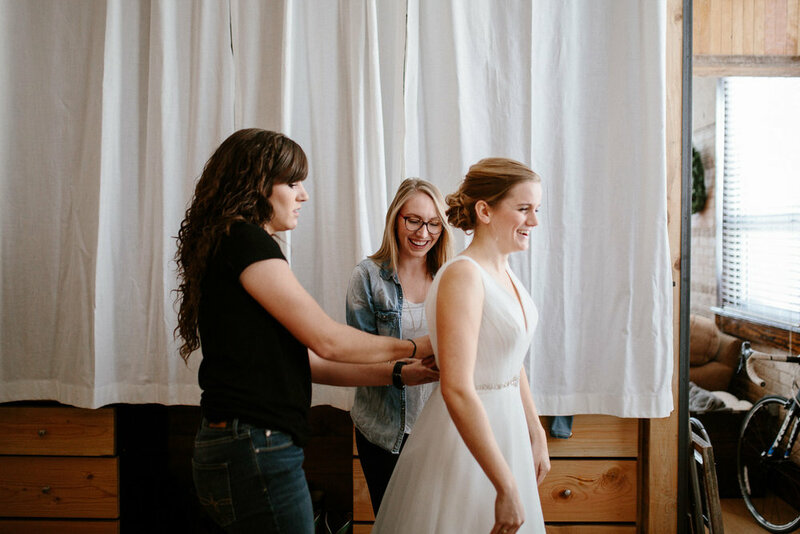 Also quick shout out to Alcee's friends Amber and Makenna for coming along to help with makeup and also carrying bags and coats and fighting through the could with us!